There are different types of headaches and Migraine. All headaches/Migraines are not the same but they all cause head pain. Some of the migraines are with an aura like nausea, vomiting vision disturbance etc. The pain is severe, throbbing and can be on one side of the head. Some migraines are triggered by food like cheese, red wine or chocolate, excessive heat, noise or certain chemicals, stress/fatigue, menstrual cycle and a weekend migraine often triggered by a prior of stress and overwork followed by relaxation. The studies have shown that most of the migraines are associated with Cervicogenic Headache, meaning muscles and joints are involved in the production of a headache and migraine. Our experienced physiotherapist has gone under training for treating headache and migraines at Dean Watson institute. The diagnostic accuracy of the Watson Headache approach is unparalleled. It can confirm if disorders in the upper neck are responsible for a headache or a migraine and determine the exact nature of the disorder as well as which spinal joints are involved. There is no guess work and no cracking or manipulation. The training was based on Watson Headache approach, a protocol for the skilled assessment and management of the upper cervical spine (neck) in a headache and migraine. 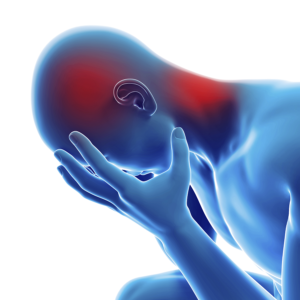 Please contact us to discuss your concerns and treatment options for Migraine and headaches.